Two days to a prototype? One low fixed fee? That’s unpossible! If you’ve spent any time reading popular literature around product development, surely you’ve read Sprint by Jake Knapp, which chronicles Google Venture’s 5-day design bonanza to get a team to a tested, validated, final prototype. The idea sounds great for large SaaS organizations where each function and iteration in the product requires very careful and sustained effort of a group of devoted participants. The reality in the legal space is that our clients just don’t have the ability to dedicate resources for that lengthy period of time (unless, of course, they are a legal tech SaaS company where this effort is mission critical). So, as a general matter, we spend about 4–8 weeks (and sometimes more) getting a product from idea (or problem) to tested prototype, depending on the issue. We find that it better accommodates the business realities that our clients face. For a lot of our clients, however, something much more lightweight is in order. For law firms, we’re often working with heads of innovation who need to get to a prototype to sell to the partnership before taking it to their clients for validation. For non-profits, an early prototype is often required to justify additional funding. To address this need, we are offering a new service: the 2-day prototype. For the 2-day Prototype, a team of our strategists and designers will visit your team onsite for a process of rapidly defining, ideating, and designing one or more potential solutions to an identified problem. There is no particular skill level required of your team — just a knowledge of the problem, the intended user, the business need, design constraints, etc. We will bring the talent and the tools to facilitate, ideate, and create a digital, clickable prototype. 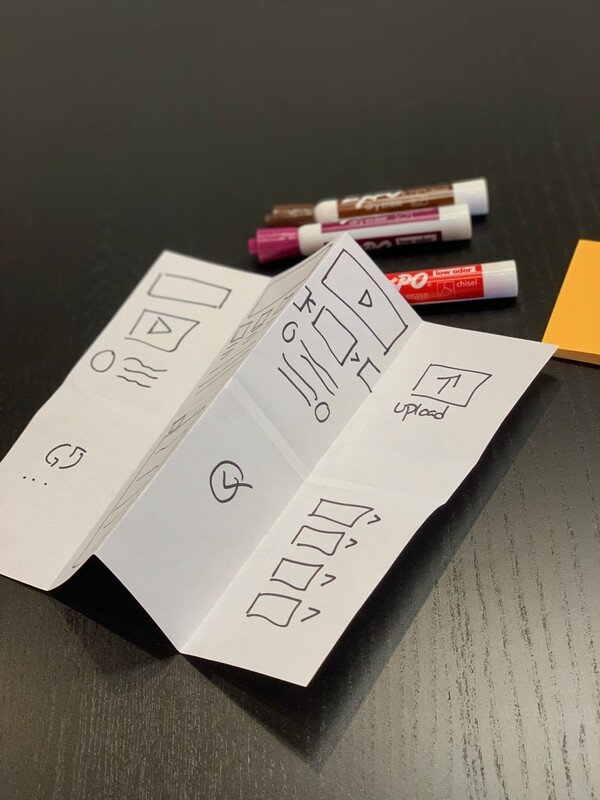 This proprietary rapid prototyping process leverages best practices we have derived from years of building digital products in the legal industry. Our team brings a real depth of expertise in user experience and user interface design to help your rapidly ideate and deploy a valuable prototype. We’ll leave you at the end of day two with a link to the prototype that is ready for the next steps. We’re always here for whatever you need after the workshop, from UX research to further design, to development. What’s the Value of the 2-Day Prototype? Our goal at the end of the 2-day workshop is not to get you to a prototype that your team (or ours) will jump into building right away. Rather, our goal is to get you to a prototype that encapsulates one potential solution, based on the ideation and input of a multi-disciplinary team, to an identified problem. We will document our assumptions and make a testing plan for you to carry forward, with our without our assistance. This prototype will then be used post-workshop to test/validate with users and/or to pitch the idea to internal stakeholders or funders. The medium-fidelity clickable prototype will allow you and your stakeholders/users to work through the main states of an application to get a real life sense of the product’ core functionality and value. $15,000. We want you to be paying for the value of a testable prototype, not for our hourly effort. We also ask that you cover the travel costs for our team. But what if you have a huge team of people who want to be at the workshop and a lot of politics to navigate? But what if you have no idea where to start and need us to help you sift through a lot of ideas? But what if we want you to build a fully functioning app with dynamic data and a beautiful user interface? Ok, that would be more. CEO @ Theory and Principle — a legal technology product development firm. Musings on product design, development, legal tech, etc. We’re a product design and development firm focused exclusively on the legal industry.